DAB radio makers improve energy efficiency | What Hi-Fi? Pure Digital has 14 radios in its model range that have been accredited by the Energy Saving Trust. These radios carry the Energy Saving Recommended logo, showing they meet strict criteria on energy efficiency. A Pure Energy Saving Recommended radio uses less than quarter of the power of a single low-energy lightbulb, it is claimed. This means those DAB radios consume less than 3.5W of electricity in use, compared to a low-energy bulb which typically uses 14W. See www.pure.com/energysaving for more details. 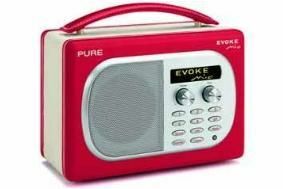 All of Pure's new radios are part of its EcoPlus range, which have reduced power consumption in operation and standby, and use recycled packaging materials. Roberts Radio also has a range of eco-friendly models. These radios include switch-mode power supplies, enabling low operational and standby power consumption, and extended battery life.